The Nazis never broke the non-aggression pact with Stalin. The allies surrender ending the War. Japan is appeased with all of Asia. A puppet government is established in the USA. A landing party from Ganymede descends upon earth, landing undetected in a remote area in central Oregon. It is comprised of a small group of Mutated plants and Replicants of Aryan looking men (Mutant Future ruleset). Upon landing they establish contact with the local underground resistance/partisans. The replicants are simulacra of Rudolf Hess, Martin Bormann, and Albert Speer. The 'party' would be comprised of these replicants, mutated plants local to Gamymede, and pure strain human partisans. An initial objective would be to infiltrate the Reich leadership to a point where the actual Hess, Bormann, and/or Speer could be quietly assassinated and replaced. Ganymedeans have been observing that carbon dioxide levels have been rising steadily in the last century. Levels have researched such they can survive without aid in the terran environment. They plan to increase the use of hydrocarbons to further elevate co2 levels. They have also noted they have a taste for methane and look to increase those levels as well. Nuclear power is to be avoided, nuclear weapons, not so much. Ammonia and nitrates act like narcotics on Ganymedeans. I like these angles/thoughts, thanks! A cross country mission takes place. 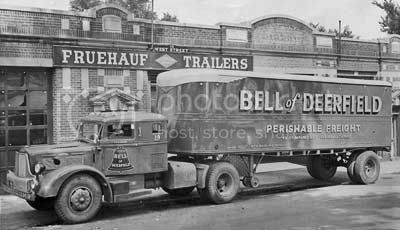 The 'party' owns a stolen 1940's freight truck. The pure humans would be in the cab with forged papers. The mutated plants and replicants are stowed in the rear trailer along with some supplies/weapons etc. checkpoint in Butte MT that goes wrong when the nazi guards want to take a look in the back.